Within the North Shore lies Cape Ann, a peninsula on the northernmost coast of Massachusetts Bay. Cape Ann is comprised of the beautiful coastal communities of Essex, Gloucester, Manchester-by-the-Sea, and Rockport. 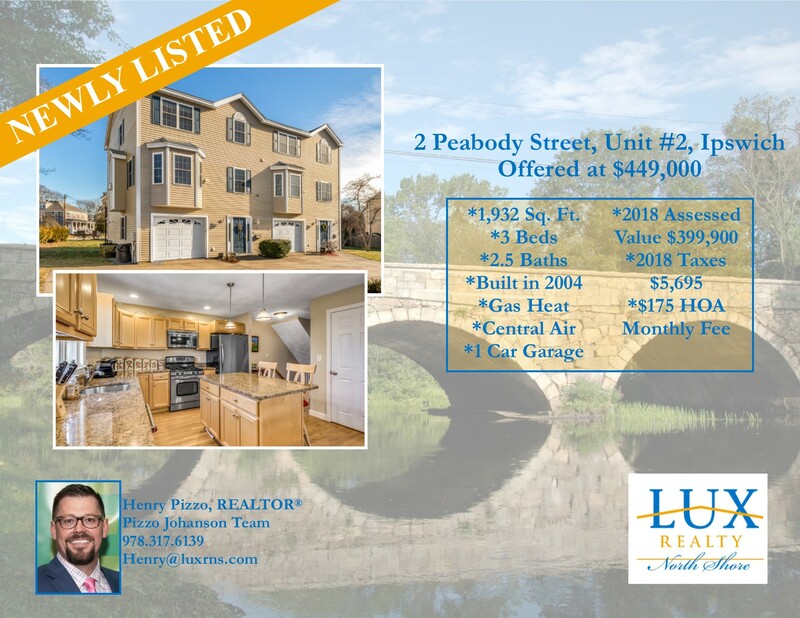 Newly Listed by LUX REALTOR®, Henry Pizzo of The Pizzo Johanson Team, 2 Peabody Street, Unit #2, is a handsome, move-in ready Townhouse in the charming coastal town of Ipswich. Perfect for entertaining, the main living area has an open floor plan with hardwood floors throughout. This home has the upgrades that today's Buyers are looking for with granite counters, stainless appliances, gas heat, central air, private balcony, laundry on the same level as the bedrooms, an attached garage, and low condo fees! Click on the photo for additional details. LUX REALTOR® Joy Munoz, just listed 636 Rear Washington Street, a one of a kind waterfront property in the Annisquam area of Gloucester. Offered for the first time in over 60 years, Shore Lee is perched overlooking the Mill River. The main living area is open, bright, airy and spectacular sunsets can be enjoyed from most vantage points. A seasonal lower level is perfect for guests or hosting summer parties on the water. Come by the Open House this Saturday, 11/10 from 11:00 am - 1:00 pm. 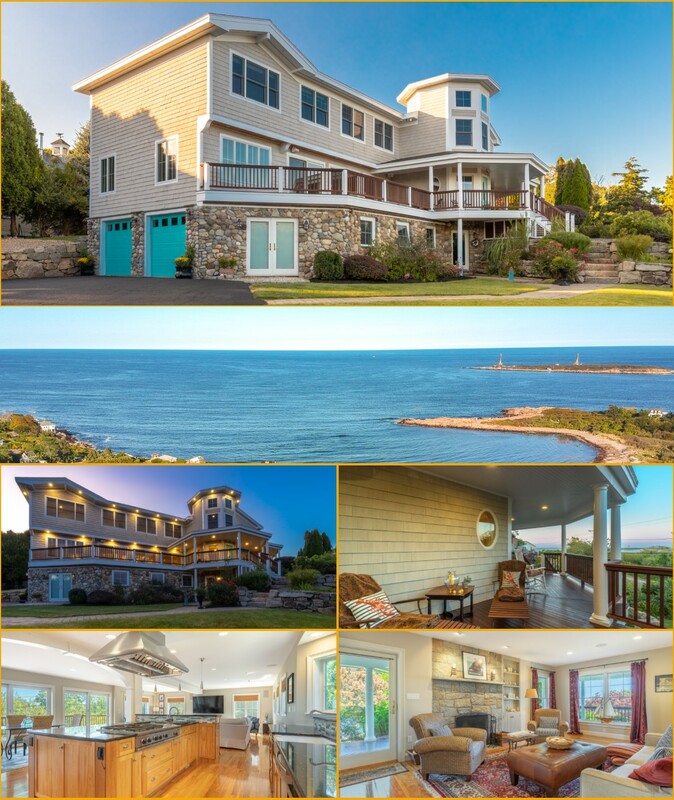 Cape Ann real estate at your fingertips! 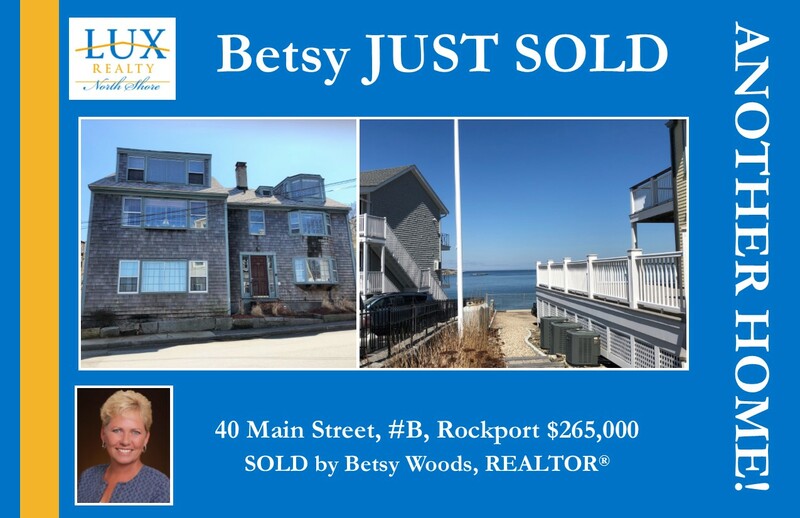 LUX REALTOR® Lynda Hemeon just sold this charming Antique Post and Beam Cottage tucked away on a side street near town and Rockport harbor. This unique property features diamond pane windows and exposed beams and offers an attached barn perfect for an artist's studio or for converting to additional living space. 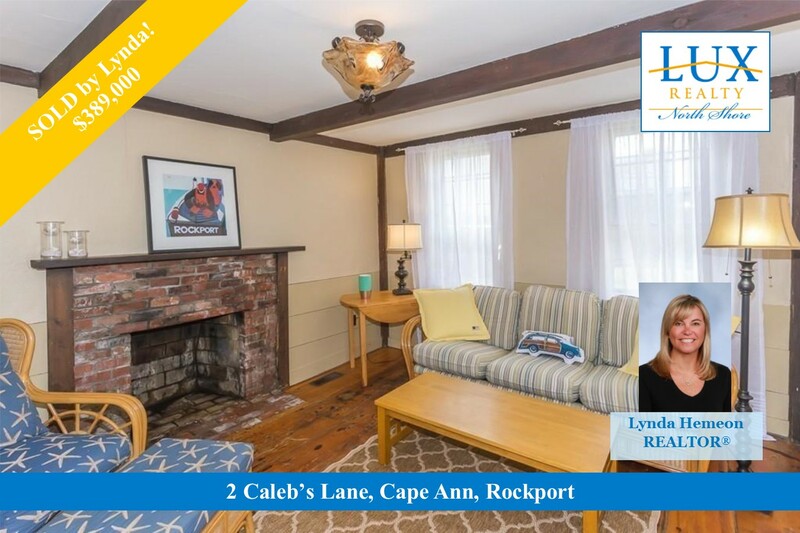 Whether a local townie or moving to Massachusetts, if you would like to know more about the Cape Ann real estate market, get moving and call Lynda today! 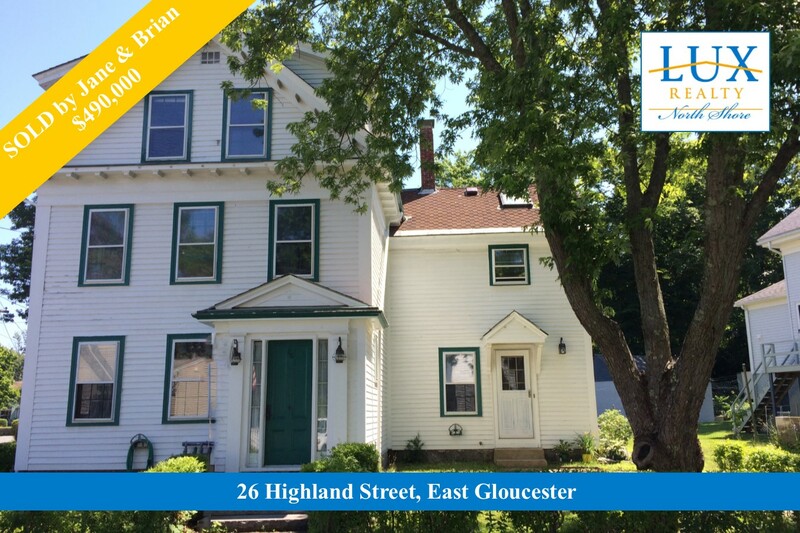 Charming Colonial located in the heart of Gloucester near harbor, shops, restaurants, and the commuter rail to Boston. Listed by Team Cotraro, this beautifully updated home features hardwood floors, a granite and stainless kitchen, and a gorgeous full bath with soaking tub, tile shower and handy washer dryer. Come live the Cape Ann Lifestyle! For details and open house info click on the photo or call Team Cotraro today! 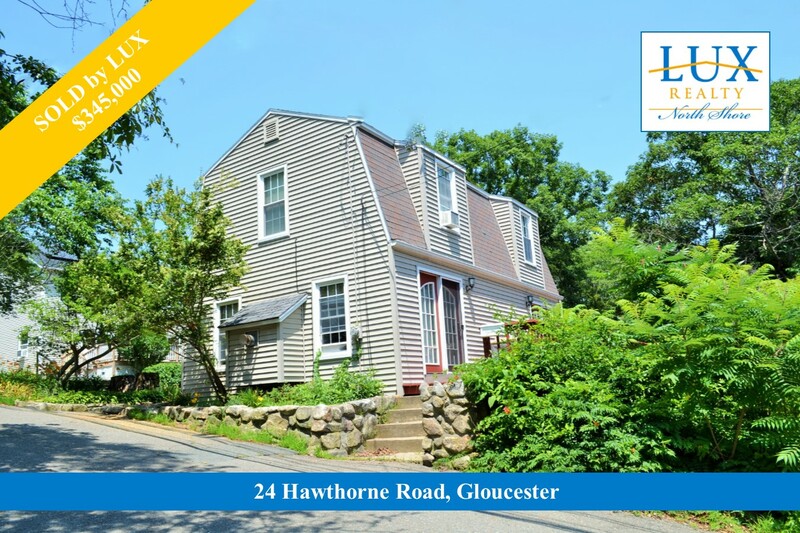 Adam Doane of The Pizzo Johanson Team helped his buyers purchase this charming 3-bedroom home in Gloucester. Curious about home values on Cape Ann? Get moving and call Adam for a free price evaluation today! Thinking about making a move? 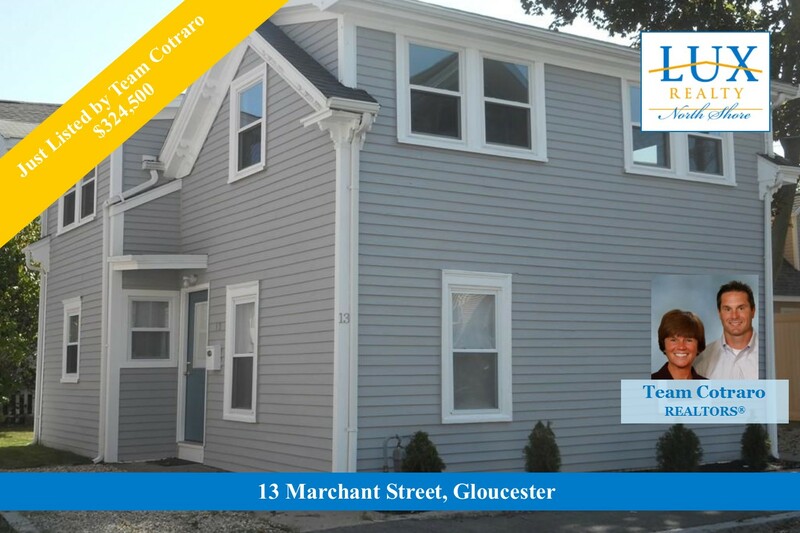 REALTORS® Jane Meterparel and Brian Marvelley just sold this solid 2-family property in East Gloucester. Buyer demand for investment properties remains strong on Cape Ann. If you are thinking of selling an investment property, contact Jane and Brian and let their experience work for you!